I remember being little and not liking vadais. My parents would bring them home once in a while, eat them as a snack with sambol or dried butter chilies, and offer me some every time. I wasn’t interested. It might have been that the appeal is in the texture and subtleness of these fried snacks, scented with curry leaves and flavoured with onions and only a scattering of fennel and cumin seeds–maybe I just couldn’t appreciate them then. Until one day in the car on the way home from a grocery run to the Indian and Sri Lankan grocery store, when a fierce pang of hunger hit me. My parents passed a slightly grease-stained bag of vadais back and forth in the front seats. It was eat one or whine in the back of the car until we got home. I ate my first whole vadai. And then I ate a second. Possibly a third, I’m not sure, but at any rate, I changed my mind about vadai that day. That day I finally appreciated their golden outer, the crispness, crunch and crumb, protecting a semi-moist centre of split chickpea batter. My family, ever eager to fill everyone around them with the food they love, started buying more for me from that point on, eventually making them at home. My dad started frying big batches of them (often in the open garage–he hates the smell of fried, spiced food penetrating the whole house) and served them with his famous green chili sambol. His vadai and his sambol. That is the definition of someone spoiling you. It’s a nice thing to be a guest in my parents home, you should come over some time. In the meantime, fry up a big batch of these vadais–my dad’s recipe, enjoy them with a sambol or chili paste and very cold beer. Feel free to make half the amount in the recipe, but better yet, invite people over to enjoy them with you, give some to your neighbours or freeze a few for later. They keep well for a couple of days in the fridge or a little longer if frozen–reheat in a moderate oven. Heat the 2 tbs of vegetable oil in a large sautée pan over medium heat. Add the curry leaves to the oil for 15 seconds and then add the onions and stir well. Cook, stirring for 1-2 minutes, then add the chilies and cook, stirring for another 2 minutes until the onions have softened. Do not let the onions brown. Remove from heat and set aside to allow to cool slightly. Drain soaked chickpeas and set aside 1 cup. 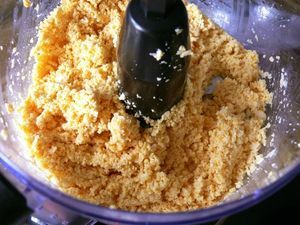 In a large food processor, process 4 c of the chickpeas, scraping down the sides as needed, to a couscous like consistency. Transfer to a large bowl and set aside. Process the remaining 4 cups, scraping the sides as need, to a paste. Transfer to the same bowl and add the 1 cup of non-processed chickpeas. 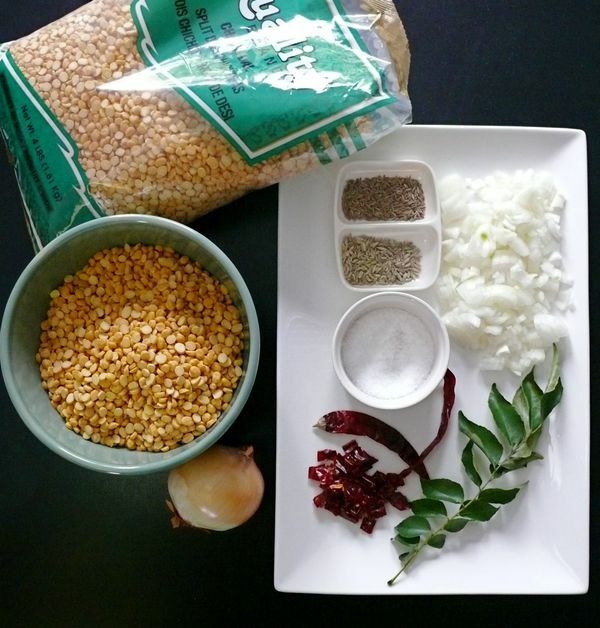 Add the salt, fennel and cumin seeds to the bowl, and mix well with a spoon or by hand. Add the onion mixture and mix well. Taste and adjust seasonings. Heat enough oil in deep fryer or a heavy bottomed, high-sided pot to fry the vadai (about 2 inches of oil). 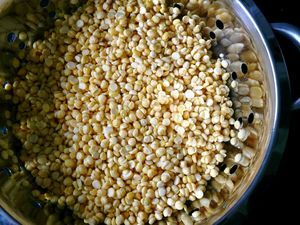 Meanwhile, take 2 tbs of the chickpea mixture into your hands and roll into a ball, then flatten to a 1/4″ thickness in the middle, slightly thinner on the sides. Slightly rough edges are fine. Place on an oiled plate and repeat until all of the batter is used. Lay parchment paper between the layers so the vadais don’t stick to the plate or one another. 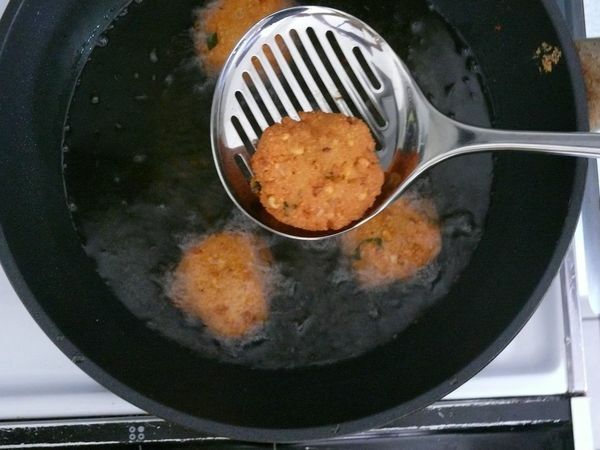 When the oil is hot, add the vadai carefully, about 6-8 at a time, depending on the size of your pan. Do not overcrowd or allow the vadais to overlap. Cook until golden brown, turning occasionally, about 5 minutes. Transfer to a metal tray-lined wire rack or a paper towel-lined plate. Allow the vadais to cool slightly before serving. Serve with a green sambol or your favourite chutney or hot sauce. Oh, how I would LOVE to eat at your parents house!! 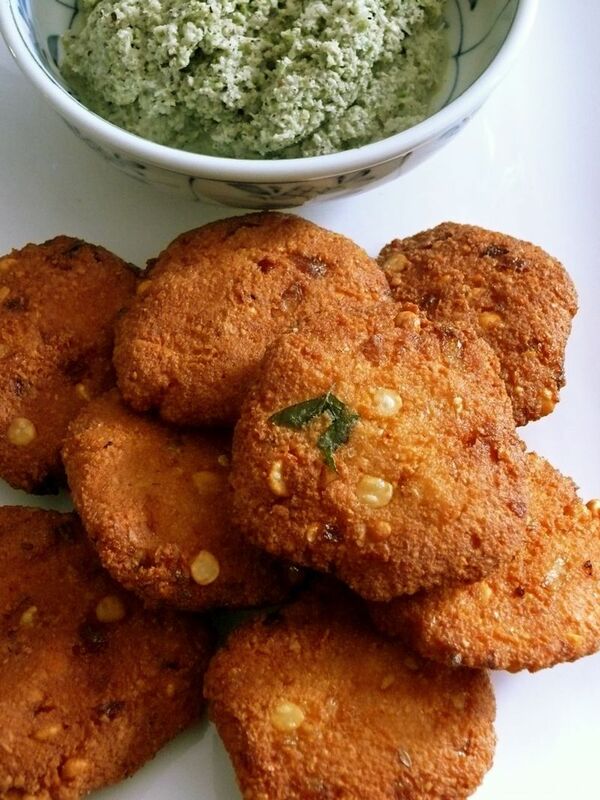 These vadais look perfect. Exactly the type of thing I love to eat best.